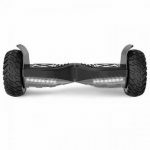 UK Segboard – The No1 Leading and Specialist Segway Hoverboard & Hoverkart Retailer, and UK’s Official X Factor Product Partner & Supplier. 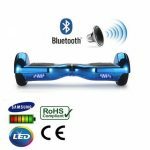 All of our Segway Hoverboards are robust and reliable with the latest and coolest technology integrated 2.0 Bluetooth modules, and all come with LED pathfinder lights, three-axis gyro sensors and accelerometers to monitor angular changes and make controlling much easier. 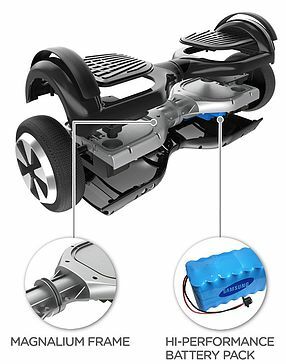 The board also has Powerful quiet motor technology with duel electric 350w motors which operates almost silently whilst riding up to 12 Mph holding a weight of up to 120kg! 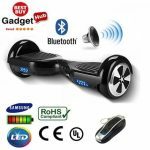 The 6.5″ Bluetooth range is a standard segway board with built in Bluetooth connectivity and a cool remote control. 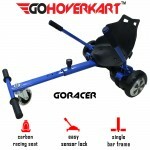 Official Hoverkarts which fit directly on your 6.5″ / 8″ segway boards and allow you to use your segway as a GoKart. 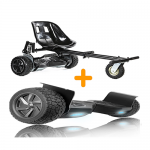 The All Terrain 8.5″ Hummer Bluetooth Segway range is the most favoured by far! With LED lights on the front and rear brake lights on the back, Bluetooth Built in and more! As the UK’s largest and leading online Segway Hoverboard retailer, we ensure that all of our products are 100% safe compliant and the chargers are UK CE & UL Certified, so rest assured your in safe hands. MySegboard Chrome Range has a Brand New Design, Bluetooth built-in and comes in many different chrome colours such as Gold, Silver, Blue and Pink. 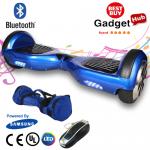 MySegboard Classic Bluetooth Range come in many different colours, 6.5″ wheels and with a Free Carry Bag. The All Hummer Monster bundles are the most popular selling products out right now. UK Segboards we provide Free Next Day Delivery and excellent customer service to all of our customers, Our sales product specialist will advise what product is suited for age, gender or occasion if you’re unsure or have even if you have a technical issue, we aim to get back to all customers within 24 hours. We wish to provide the best level of customer service by providing Mon- Fri 10am- 5am Phone and Email support as well as online Live Chat so you’ll be connected with us throughout the sale / delivery process.